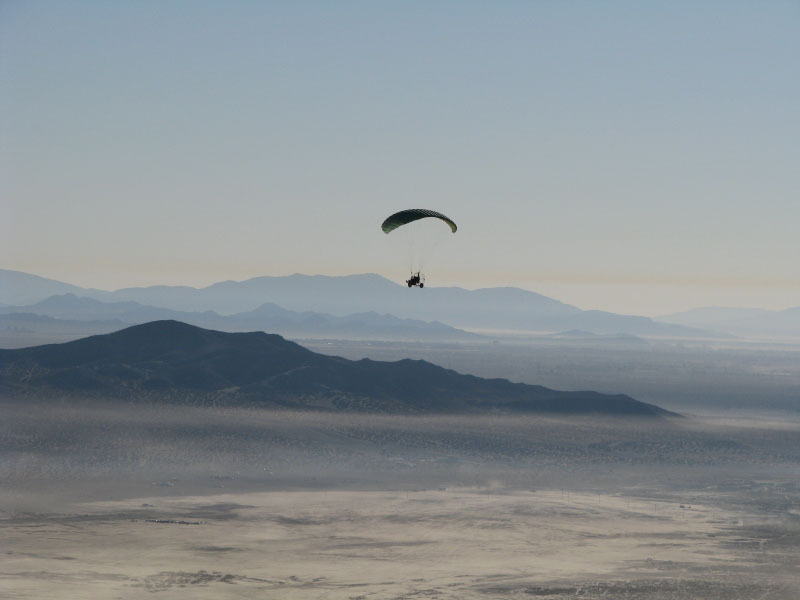 "One of the best things about flying is to be able to do it with my 14 year old Son Brandon. He loves going out flying with his Dad and he seldom stays in the air for less than two hours or until he nearly empties his tank. When we go out together we sleep in the back of the truck and on some mornings when I'm half-asleep I notice out of the corner of my eye Brandon lefting his head up to see if it's dawn yet so he can fly. " "Yesterday he had an English class assignment to write a poem about the "dawn" that describes the four senses; sight, smell, hearing and feeling. As part of the assignment the teacher required the kids to wake up early one morning so they can experience the dawn. For Brandon, this was routine, especially when out camping and flying. I just wanted to share the poem he wrote for this assignment:"
I see a golden line glowing across the horizon. Like the fading paint on an artist's canvas. And the early rumbling of engines warming up. And the excitement of a new day. I sense adventure coming my way. And the smell of coffee in the morning. The smell of a new dawn has arrived. into the morning sky, and fly as my spirit soars above me. While Jerry and Brandon do not fly the TrikeBuggy, they have been avid supporters and true friends. Jerry flies a highly modified Fresh Breeze Flyke which he has tinkered with endlessly in his quest for the ultimate flying machine. 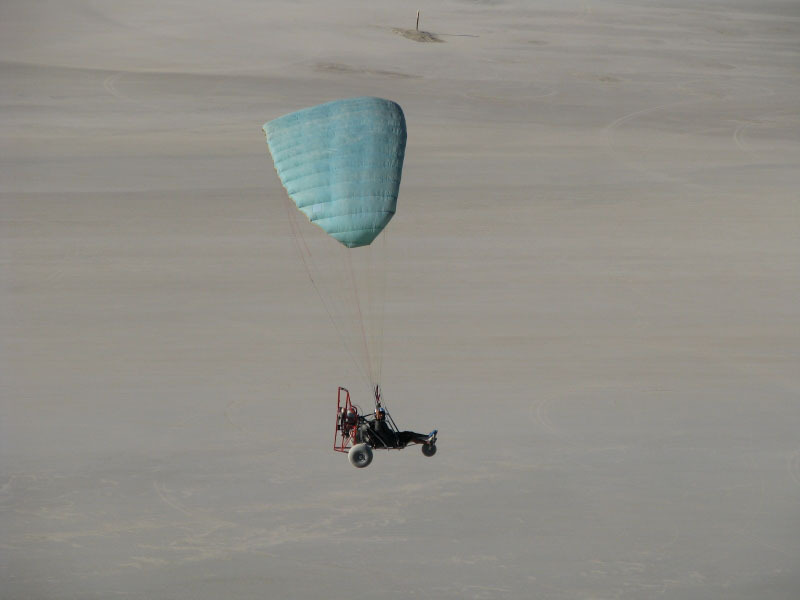 Brandon is flying the original "Slider" made by Randy Pate, and aluminum frame trike with Roleez wheels. 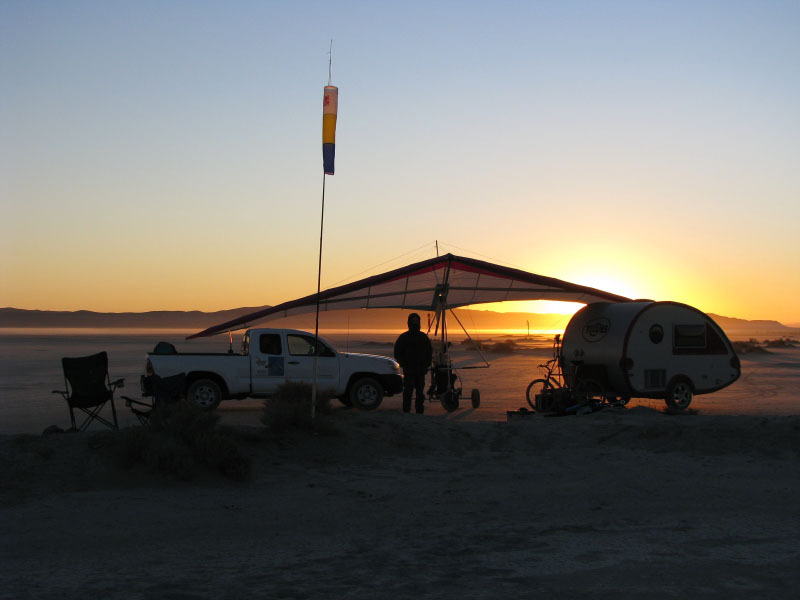 Both Jerry and Brandon are powered by Fresh Breeze Monster Hirth 313cc Paramotors. 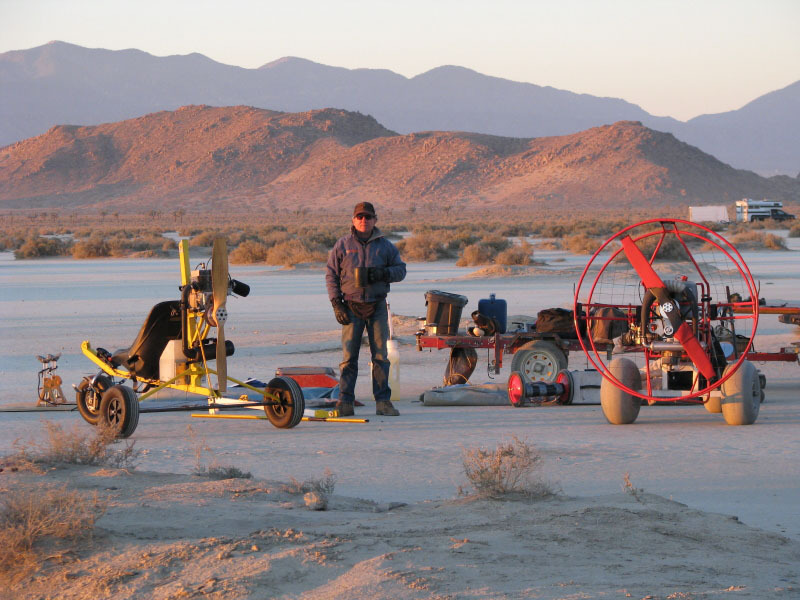 Jerry is starting to work on his latest acquisition, shown in the photo below to the left of him - a Delta Trike! Brandon's trike is on the right. The next two pictures are of Brandon flying, and the next is what Brandon saw when he woke up at dawn - yours truly. Let's go FLY!